In Corporate Publishing, Are E-books PDF 2.0? E-book-savvy employees are now pushing for a sensible way to consume long documents at work. 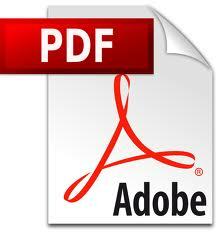 Adobe’s PDF has long been the standard in corporate publishing. Any brochure or sales proposal is likely to be delivered in that format. Easy to create, yet equally easy to control, it’s the perfect vehicle to maintain presentation standards in a commercial environment. A whole ecosystem of editors, convertors, add-on tools such as annotators, and document management systems has sprung up to support this. However, the term ‘corporate publishing’ hides a variety of specific uses, some of which, like training materials, are closely related to textbooks, whilst others, such as 2-page brochures are really advertising hoardings more than documents as such. The impact of e-book technology on corporate publishing will be similarly varied, but no less impactful for that. Corporate publishing is different from regular book publishing in that the cycle time of creation and revisions is of the order of weeks for marketing literature down to days, or even minutes, in the case of sales proposals — a far cry from traditional book publishing, where even a year from draft to publication would be considered “quick.” The combination of instant creation coupled with the consistent formatting that PDF provides has proven irresistible. PDF though is not ideal for electronic consumption, since its whole page based architecture was designed for printing and does not take advantage of the variable screen sizes available upon which it might be viewed. Anyone who has tried to read a 100-page PDF through a screen that only legibly displays 1/3 page will testify to that. And when confronted by a two-column format, most sensible people declare defeat and simply print it out. PDF readers capable of reflowing content have been touted for years but with little market impact. Fortunately for the corporate world, there is now an alternative. By moving to e-books, corporations can deliver long form content in a format that can easily be consumed. The easier it is to read, the easier the reader will be to convince. Companies routinely respond to lengthy request for proposals with even longer responses. Even a moderate sized bid may warrant several hundred pages of documentation and whilst the absolute number of readers of that document is low, millions of dollars may be at stake. The business case is clear enough, but can e-books really replace PDF? Just two or three years ago that idea would have been laughable, so entrenched is the PDF in corporate culture. However, we have seen IT departments scramble to adapt their approach to smart phones, tablets and laptops in the face of influential employees fed up with having the latest devices at home and relics in the office. In the same way that “bring your own device” became commonplace in many offices, we may see e-book-savvy employees pushing for a sensible way to consume long documents at work. For commercial content that is primarily short, and fixed layout, such as marketing brochures and one-page letters, the PDF format will remain king. But for anything longer, e-books may be a better solution. New media never fully displaces the old, but rather coexists as both old and new find their respective niches. PDF is certainly not going away and, today, most corporate users have no easy, sanctioned way to create e-books. But the revolution has only just begun and we can expect to see ongoing innovation as an ecosystem evolves to support the rapid-cycle eBook publishing that corporations require. Are eBooks PDF 2.0? In general, no, but for anything with a table of contents, I say unequivocally yes.